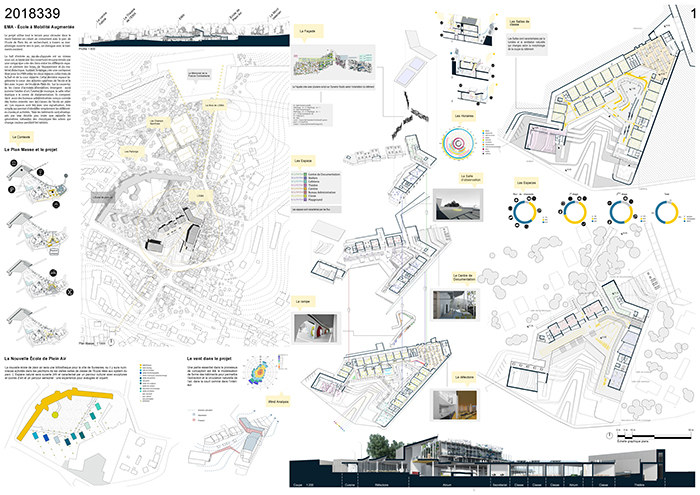 My name is Lorenzo, 2017 was the start of my professional experience in the BIM process, as I attended a Revit Workshop at the Faculty of Architecture at “La Sapienza” University in Rome, and I got the first prize for the best BIM model, successfully designing four apartments complete with mechanical, hydraulic and electrical systems. Reaching the first place not only opened the way for me to the world of work, starting my career as BIM Specialist at a BIM consulting firm in Rome, but it also allowed me to apply the knowledge gained in my first real project: the entire architectural, structural and plant renovation of two apartments in Nepi (VT). My knowledge of the MEP and AEC disciplines has grown, confronting me with the engineers I was working with, first modeling for several months on the BIM implant model of one of the most important airports in South America and then on the BIM models of a Hospital Complex. My great passion for Augmented Reality and Virtual Reality, pushed me to follow also the growth of this market and the development of hardware and software. Keeping up to date on these areas, I was able to learn more knowledge, applying them to all the projects that I have followed and the competitions in which I participated. The interest in architectural design, in parallel with my employment, has in fact led me to participate in several calls, which required as a basic requirement the use of BIM. Among the competitions in which I took part, the most prestigious was the third edition of the BIM Concour, a contest with competitors from all over the world, where I reached third place (the only non-French team on the podium), with the EMA – École à Moblité Augmentée project, awarded in Paris by Emmanuel Di Giacomo, EMEA BIM & AEC Ecosystem Business Developer of the Autodesk France team. The project involved the BIM modeling of the disciplines AEC and MEP at LOD 300 of a school for over 500 students aged between 11 and 15 years, of which a large percentage were supposed to be disabled. 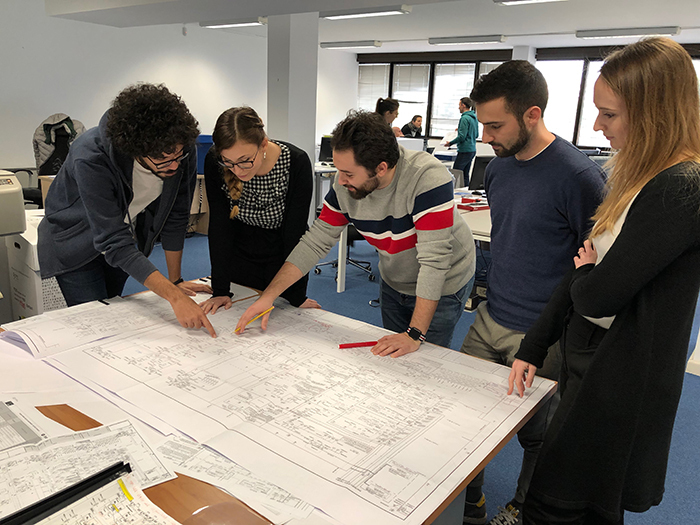 My real professional growth began in May 2018, at the B1P Group studio in Rome, with which I followed, firstly, the architectural, structural and plant design of a residential building under construction in the heart of Milan, developing the BIM model at LOD 300. With design and planning assistance, BIM modeling, drafting of construction drawings and drafting of calculations and Material Take-Off, for buildings around the world, made for a large General Contractor Oil & Gas, I came to work at LOD 450. I have maintained the same level of detail also for subsequent works, such as the design and in-depth modeling, alongside a specialized engineer, of two SKIDs for an Off-Shore platform in the North Sea. Another project that has great relevance, is the construction of a pavilion for the Dubai EXPO in 2020, which I still coordinate the design and development of the BIM model, a necessary prerogative according to the provisions of the EXPO itself. I currently hold the role of BIM Coordinator, and chronologically, my last task is the design of a complex of buildings of a refinery in Alberta, Canada, where the modeling is focused on HVAC plants, taking the level of development of the models up to Fabrication Parts. The assignment also includes the drafting of construction tables and complete calculations of the weights of individual objects, keeping the LOD at 450. 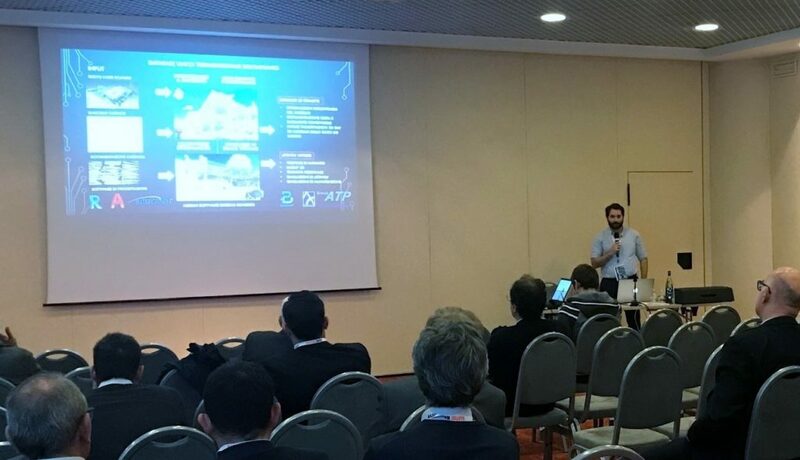 Strengthened by the experience gained through the projects I have followed, and the passion for AR, VR and MR technologies, on 29 November 2018, during the event mcT Petrolchimico, held in Milan, I presented the Workshop “Integrated Design and Virtual Reality”, in which I illustrated the importance of both the BIM applied to architectural design and plant engineering, and the introduction of these new technologies from the concept phase to the development of the work, and providing participants with a headset, to experience firsthand visualization in VR. Being proactive, enterprising and professional are characteristics that are added to the qualifications that I make available to customers. I always keep up with the latest technology and give my all in everything I do. The experience I have gained pushes me towards new challenges, successfully completing every task I receive.